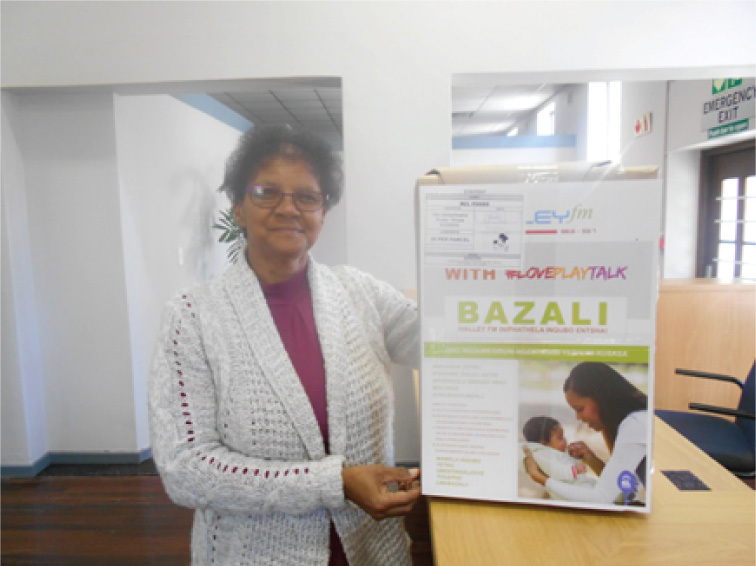 Ms Ansie Visagie, Winelands Department of Social Development, responsible for ECD with the Love, Play, Talk Valley FM poster. Just as a strong foundation is critically important for a building, so too is the importance of early stimulation as a strong foundation for later learning and success in life. In fact, if early stimulation through play and early language is not present for the child, it can lead to lasting negative results for his or her future. Brain ‘architecture’ is formed in the first few years of life and brains are built from the bottom up. Just like you build a scaffold from the bottom up, so all learning depends on the learning that has taken place before. By age three, 85% of brain structure is in place! The good news is that you the parent can provide everything needed for that strong foundation for your little one! All it takes is your LOVE, PLAY, TALK! We learned in an earlier article, that the environment in which a child is raised is critically important in enabling him or her to achieve their potential. All children need love and care from the important people in their lives to feel secure, loved and valued. Babies and toddlers need caring adults to cuddle and hold them; talk to them, say rhymes, sing songs and tell stories and to play with them in ways appropriate to their stage of development. And you don’t need expensive toys to be able to play! Many ordinary household items can become a toy for a baby. You just need to make sure that the object is safe for baby – that it’s not sharp or small enough to be able to be swallowed because baby will put it straight into his or her mouth! It’s easy to make rattles and rolling toys that babies love to hold and shake using plastic bottles and other kitchen items. For the very tiny baby, play involves warmth, touch and movement – massaging baby, moving his little limbs, rolling her over on the bed and letting him kick and splash as you bath her. It involves facial expressions – smiling, laughing, making funny faces and playing ‘peek a boo’. And most importantly baby play is playing with sounds! Mums and dads – this means plenty of talking with your baby from birth! While baby may not understand your words, he will be absorbing the sounds of the language you speak and beginning to attach meaning to those words in time. Words and language become important tools for intellectual development, so use every opportunity to give your little one a rich language foundation. Just as you need to give your precious young child the best nutritious food, so too you need to feed your child’s brain through LOVE, PLAY, TALK in a stimulating environment. RCL FOODS together with Ilifa Labantwana and Innovation Edge have printed hundreds of posters to inform parents and caregivers of young children to listen to the exciting LOVE, PLAY, TALK radio programme hosted every Tuesday from 10am to 10.30am. These posters have been distributed to Department of Health clinics and hospitals, Department of Social Development, Breede Valley Municipality and libraries, many of the churches and faith based organisations, the Worcester Business Forum, ECD centres and stakeholders. Look out for the posters and tune in and listen to the programme!